As we all know, I have a lot of experience with planners. I've tried loads of different brands, formats and sizes of planners. I haven't tried all the planners in the world, but I have tried a lot! So if you have any planner questions, please feel free to contact me either as a comment on this blog, on Twitter, Facebook or directly in an email. You can find all my contact info here. If I don't know the answer (which is rare but does happen) I'll post your question here on Plannerisms so readers can chime in with their advice or direct us to a particular product you are looking for. Hi Cassandra, since I don't live near a Franklin Covey store I can only see what is online. If you don't find what you are looking for on the FC website, I would recommend checking ebay. Every now and then some of the older models with the big rings come up. Alternatively, you might be able to fix the rings. If the rings are gapping, I can tell you how to fix that. If they are misaligned or totally wrecked though, you might try taking them in to some kind of repair shop? I just had a look at the FC website and wow, I didn't see a single Classic with 1 1/2 inch rings! I'm surprised. I hope you'll have some luck on ebay! Laurie, they are only gapping, not misaligned. The closest FC store is 8 hours away, not totally feasible, but I might make an excuse :). I ordered one online and refused it, they quickly sent a replacement, but sadly it was worse than the first. So I thought I would look around. Cassandra, ring problems... 'Ask Philofaxy' !! 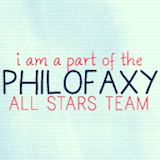 Seriously contact me from 'About' on Philofaxy and I will send you a link on how to fix your rings. Cassandra definitely go to Philofaxy.com, click on About at the top and email Steve--he can tell you how to fix gapping rings no problem! I know this may come across as a random and weird question but just wondering what are refill/spiral notepads called in the UK? Hi Ellie, as far as I know they are just called refill pads and notebooks. Any Brits want to chime in on this one? Thanks! "Refill" pads are the ones where all the pages are held together by a glued edge, so they're easy to tear out. Spiral notebooks where the spiral is on the left, well I personally just call them "notebooks", or if needing to be more specific I'll add the word "spiral" somewhere in the sentence. Spiral notebooks where the spiral is on the top are called journalist's notebooks, I believe. So, Laurie when you find planner nirvana will you still review planners? Actually, I've already found planner nirvana with my Plannerisms planner. I'm still searching for day per page vs notebook nirvana, but it is peripheral compared with my years and years of searching for the perfect planner! Has anyone worked out which model of Filofax is the "best" for accommodating FC compact pages without the tabs getting bent or the edges of the pages being mashed? I think the general consensus of the current Filofax range is the Malden because the long strap curves out away from the tabs. I don't know if there is an older model that would be better. Another question for "Ask Philofaxy!" Steve I think we should implement this! Another one: having discovered Productive Flourishing recently (because of Carie Harling's awesome vid review), I've found your 2010 posts re PF. you mention months goals and your FF Personal Deco. Did you somehow manage to make PF print-outs fit in your FF?! Also with several more years' experience, what do you now think of PF planners? I never did try to resize the Productive Flourishing planners. They are set for full size paper ( 8 1/2 by 11 inches) and I can't imagine them being at all legible reduced to personal size. And anyway I'm not clever about resizing and printing pages so I just always printed them full size. I still think Productive Flourishing planners are genius for people who work to task rather than time/ by the hour. The planners have evolved a bit over the years and are absolutely fantastic. Personally, they don't fit my work/ thought process because I am very linear and I do work by the hour. But for people who work different hours, have to bill by project, and have a lot of different projects going on at once I think they would be great. Does anyone here use the Productive Flourishing planners and can you tell us about your use of them? Thanks! I used them in the past, for a couple of months, which was a long time for me. I am a holistic thinker and bounce around, but at the same time, I don't really need a list of projects to tell me what to do -- especially when it comes to the creative side. Sometimes a story has to sit for a while, so putting it on a list to do doesn't really help me. The planners were recommended for me here because of problems I have with my job (which is not creative at all), and the job's what killed it off. I probably have the equivalent of four full time jobs crammed into one because everyone keeps saying "You have to do more with less," but they don't reassess anything to see if we can do without it. Even writing tasks out to do becomes instantly overwhelming because it emphasizes not that I need to do it, but that I have waayy too much to do. At the moment, I'm mainly focused on things that have dates due, and beyond that, it's whatever time it fits. Hello, I am need of a 6 ring planner with large rings. I use yearly refills that take 3.75" by 6.75" rings. I also have a 6 ring checkbook, two plastic holder envelops and about four plastic business card holders. I would like to keep everything in one binder but it is getting too stuffed. I have a binder with 1 inch rings right now, the kind that have the rings divided into 2 sections with an empty space in the middle. Do you know of any larger capacity planners? THANK YOU!!! Hi Amy, the only large capacity binders I know of are Franklin Covey, and even with those you have to search on ebay for their older binders to find anything with rings larger than 1 inch any more. This is another question for Ask Philofaxy! Steve do you know of any other high-capacity/ large rings brands? Also Amy, what page size are you using? That will help us narrow the search. Thank you , the paper size is 3.75in by 6.75in. It amazes me that larger ring planner/binders are not common. Who can deal with such small rings in their planners? I am about to put out a line of compact large ring agenda for those who like to clip in any and everything. Thanks again for your fast reply.